OS » How to Personalize Location Tracing in Windows 10? All of us are familiar with the launch date of Microsoft Windows 10. 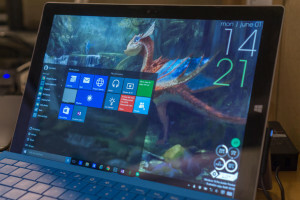 Windows 10 is expected to be launched with many changes from the previous version. Perhaps the most important change among them happened in the area of Privacy settings, especially in ‘Location Settings’. If you are a person who values your own privacy, then you are expected to love the changes that happened in Location Settings. When these are compared to Windows 8.1, we can understand that these changes are somewhat broad and complete in Windows 10. Every one of us are aware of the fact that the most primary and important feature of any Privacy Settings, is Location Setting. This is because, these settings are going to show the current location of your device and you, wherever you go and where you have been. This tracks your day to day moves and may result in an aggression towards your privacy. This is where Windows 10 comes in aid for you by providing customized privacy settings for each user or for the device as whole. The major difference in Location Settings in Windows 10 and Windows 8.1 is that, in the former the user is allowed to disable the location globally or individually. If you disable it ‘Globally’, then it will remain disabled for all the user accounts in the particular device and if you disable it ‘Individually’, then that particular user can customize own location settings. Now I will explain how you can customize these. For customizing your Location Settings-Individually, you have to open ‘Settings’ in Windows 10 and click on ‘Privacy Group’. You have to ‘Turn Off’ the location setting only for that particular user account by tapping the ‘Location’ to ‘Off’. On the other hand, if you want to turn off the location for the whole device as such, then you have to select ‘Change Button’. Then you will be directed to a new window which will give you the option to ‘Turn Off’ the ‘Location of this Device’. If you would like to make the location ‘On’, then you have to check out the following options before you do so. You have to initially access your ‘Location History’ for this purpose. History will be stored for a certain period of time because it is required by certain applications and services. If you want to clear the history then you have the option to do so as well. Underneath the Clear History Option, you may find a bunch of apps that want to update your location details, when you depend on them. What you have to do is to get through each and every application and then click on ‘Off’ or ‘On’, inorder to permit these apps to share your location. Geofencing is actually a tool in which Global Positioning System satellite network or Local Radio Frequency Identifiers create an invisible digital boundary around your current location. Windows 10, if loaded with an app allowing user’s location for Geofencing, then it will display it under the heading. Then you can prevent the tools from utilizing your present location for Geofencing. This will be possible by ‘Turning it Off’. These location settings in Windows 10 are applicable to those appearing in ‘Choose apps that can use your location’ list. The apps which appear outside this list can still share your location. This is possible with the help of your IP address and other details. In those situations you are advised to alter the settings of each of those applications, if you value your privacy.